This weekend, composer Gaetano Donizetti’s Maria Stuarda made its Cape Town debut. The performance marked the beginning of the Naspers Grand Opera Master series, during which Cape Town Opera will mount one choral opera a year until 2018. The series is made possible thanks to Naspers’ R10 million donation to Cape Town Opera and the Cape Town Philharmonic Orchestra. Relatively obscure, Maria Stuarda is an unassuming choice to open the series, but the production boasts a collection of award-winning creators and performers, and showcases both established and fresh talent. The opera, which is loosely based on historical events, recounts the final days of Mary Stuart, also known as Mary Queen of Scots, who is being held prisoner by her cousin, Queen Elizabeth I. 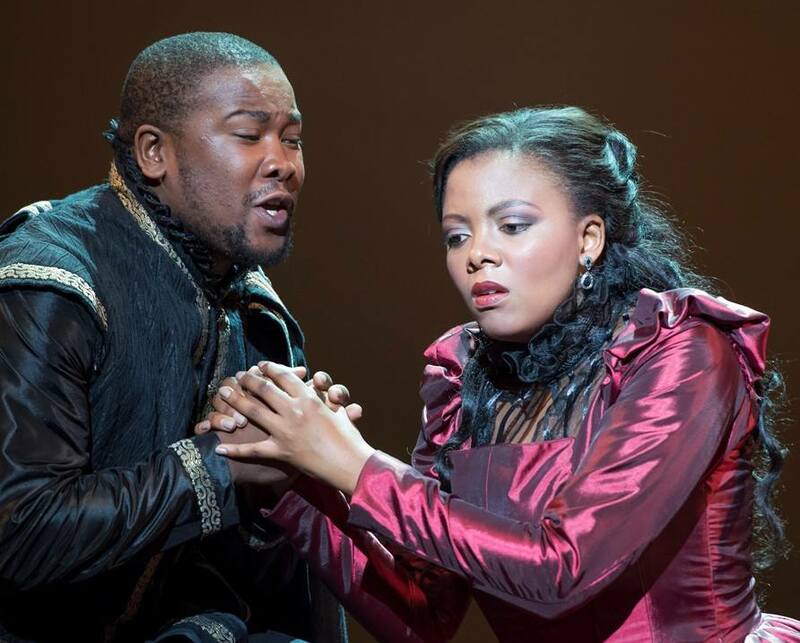 In the opera, Elisabetta (Violina Anguelov) is struggling to decide whether or not to execute Maria Stuarda (Noluvuyiso Mpofu); she may be dangerous if left alive, but her execution could have explosive political consequences. The two women never met in real life, but the opera uses a fictionalised encounter to capture the intimate tensions between them and explore the possible motivations that lead to Elisabetta’s eventual decision. Although she holds the throne and Maria is securely imprisoned, Elisabetta’s power is undermined by her unrequited love for Leicester (Lukhanyo Moyake), who has fallen for Maria instead. Politically, Maria poses a threat to Elisabetta’s life, but it seems to be her youth, charm and beauty that Elisabetta finds most threatening, and it’s her jealousy that ultimately decides the Queen of Scots’ fate. Anguelov’s wide-eyed performance looks suitably crazed for her troubled, overly sensitive character, which is so easily offended by Maria and allows personal insecurities and heartbreak to inform a political decision. Maria is gentler but more confident; as the senior descendant of Henry VIII’s elder sister, she has a legitimate claim to the throne while the English queen is the “wanton daughter of Anne Boleyn”. Mpofu’s youth and prettiness is particularly well suited to this aspect of the role: she’s sweet and radiant, in contrast to Anguelov’s haughty elegance. The production is semi-staged, meaning that it uses a bare minimum of props and scenery. The only items that appear in this case are a table and chair. The spartan set perfectly befits the character-driven story, as there is nothing to distract the viewer from the acting and the music. Although I’ve never seen a staged version to compare this to, there wasn’t a moment in which it felt like the production lacked anything. The cast is strong enough to carry the story, and they’re clad in lavish taffeta costumes that enrich both the spectacle and the depiction of the characters. Moyake flares and flaps his cape in tune with the drama that Leicester creates as he’s caught between the two monarchs. Elisabetta’s stiff black dress hints at the severe qualities of her character and her angrily merciless decision. A tall collar and heavy necklace of glittering black jewels add a touch of drama, while also suggesting that Elisabetta is literally collared (by her feelings, her insecurities and even her own power) despite the fact that she’s the one who has Maria in a cell. Maria Stuarda’s gleaming red gown, on the other hand, is the only vivid colour in a palette of black and gunmetal, suiting the opera’s romantically tragic depiction of her. She’s passionate, beautiful and beloved, which may well spell her doom. While Elisabetta commands and alienates, Maria charms and seduces. Equally impressive are the spectacular voices. The chorus that opens the performance is as rich as the fabrics that do so much for the characters, and Anguelov sings with all the fierce anguish her role requires. On opening night, Mpofu initially strained at the top notes, but she soon settled into the performance needed for a rival queen. Moyake’s mighty voice made him the most striking of the male characters, in line with his provocative role in the narrative. George Stevens (playing Talbot) once again displayed his excellent baritone. Sandile Sikhosana, who plays Cecil, has a gorgeous bass, but it lacks weight in contrast with Anguelov’s powerful soprano. The score may be unfamiliar to many, and perhaps because of that it lacks – for me – the clout typically associated with opera, but it was outstanding nonetheless. There are several lovely duets, and on more than one occasion the orchestra had to pause between pieces because of the applause. One of the final pieces, in which the chorus sings a prayer with Maria, was particularly stirring. It’s a rousing start to the Naspers Grand Opera Master series. The choice of Maria Stuarda reveals a willingness to dabble with something new and obscure rather than opting for the safety of more popular operas, while the stripped down set is a successful innovation that emphasises quality in other aspects of the production. I hope the next production is equally impressive. 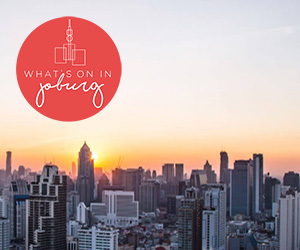 Maria Stuarda ran at the Artscape Theatre on 7 and 8 November 2015. On opening night the leads were played by Violina Anguelov, Noluvuyiso Mpofu and Lukhanyo Moyake. On the second night, the leads were played by Bongiwe Nakani, Maudee Montierre and Makudupanyane Senaoana.